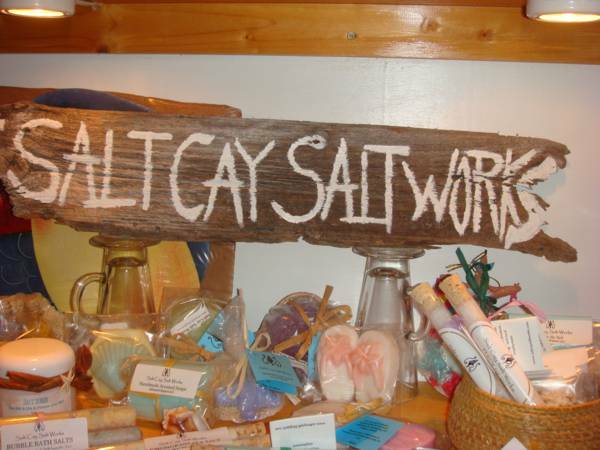 Salt Cay Salt Works uses the organic sea salt formed naturally on Salt Cay to make soaps, bath salts, culinary salts and the premier cooking salt, Fleur de Sel. Packaged in a variety of corked tubes, bottles and jars ready for your bath, table or kitchen or to use as gifts and mementos. This little display is found at Island Thyme Restaurant.